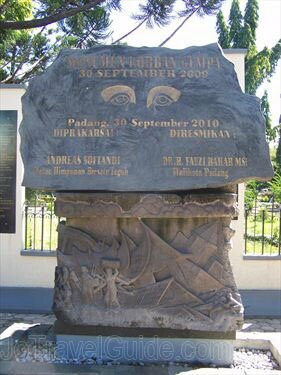 On 30 September 2009, Padang and its surrounding areas were hit by a strong earthquake with a magnitude of 7.6. The earthquake left more than 1,000 dead and about 100,000 building were severely damaged. 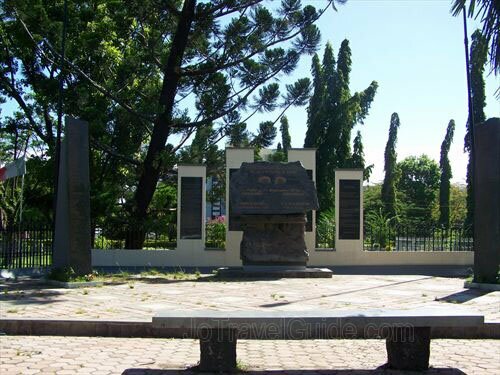 Later, the local government built this 30 September 2009 Earthquake Monument to commemorate the catastrophe. Click the picture on the left for bigger photo of the 30 September 2009 Earthquake Monument.